We at MCE take our responsibilities in regards to Health & Safety within our workshop and also when working at our clients premises. 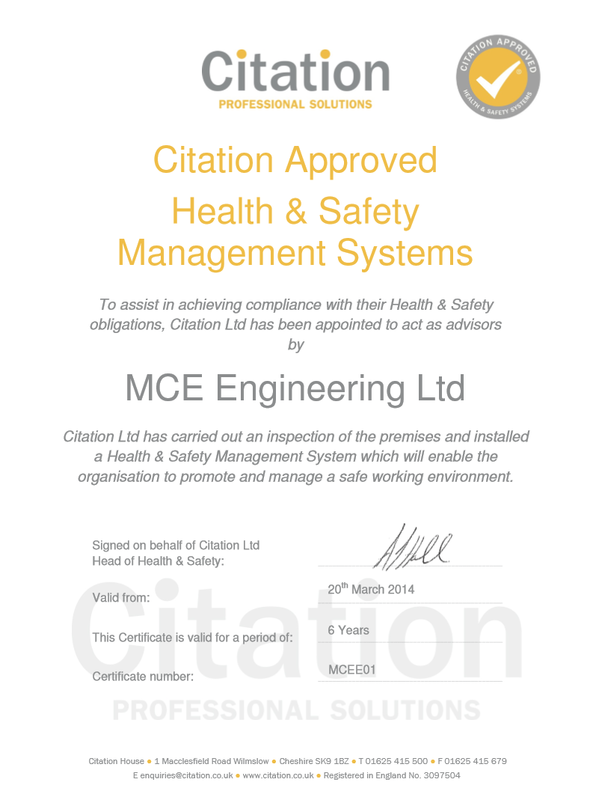 To ensure total compliance and an in depth knowledge of the ever changing world of Health & Safety within the Engineering environment our company is now backed by CITATION who deliver invaluable advise and training to our management staff and workforce, along with a rigorous audit of our workshop which ensures H & S compliance for ourselves and added safety and peace of mind for our employees. 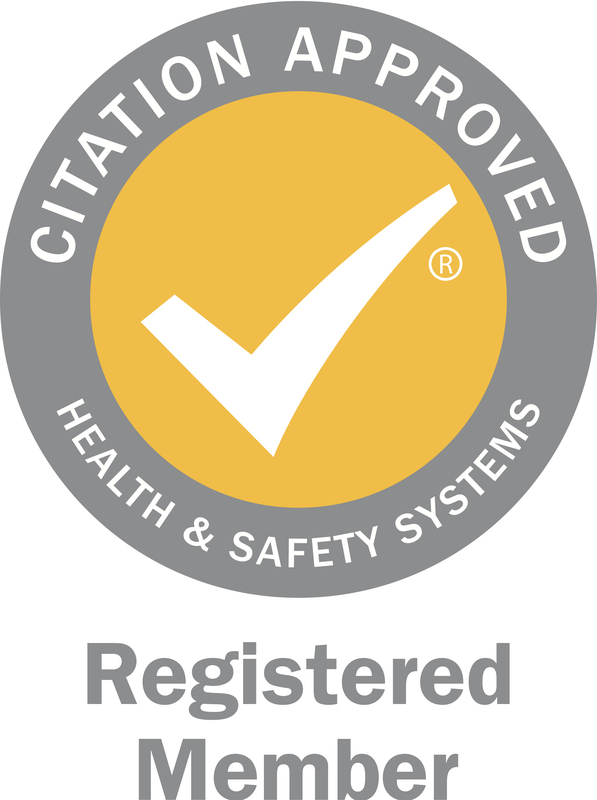 The CITATION service is delivered by experienced and highly qualified Health & Safety Consultants who are all either qualified members of the Institution of Occupational Safety and Health (IOSH) or the International Institute of Risk and Safety Management (IIRSM). Our 6 year commitment to this service also includes on line training courses, up to date news, method statements and risk assessments and a 24 hour helpline for both H & S and Employment Law.